I hired the adult castle for a 40th which we used in the village hall, absolutely brilliant fun for the kids and adults lol, highly recommended, very clean and still looks brand new, will be using them again for sure. 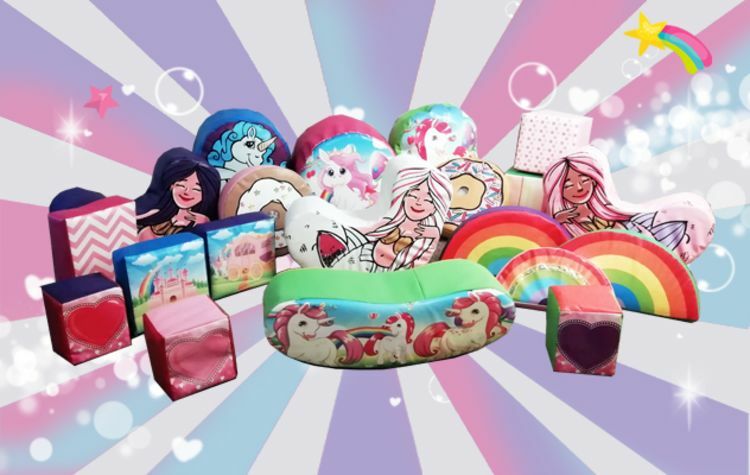 Here we have our ultimate girls soft play package, this package consists of Mermaids Unicorns, light-up doughnuts, Rainbows and Unicorns, what more could you want !! Brightly coloured and great for any party.